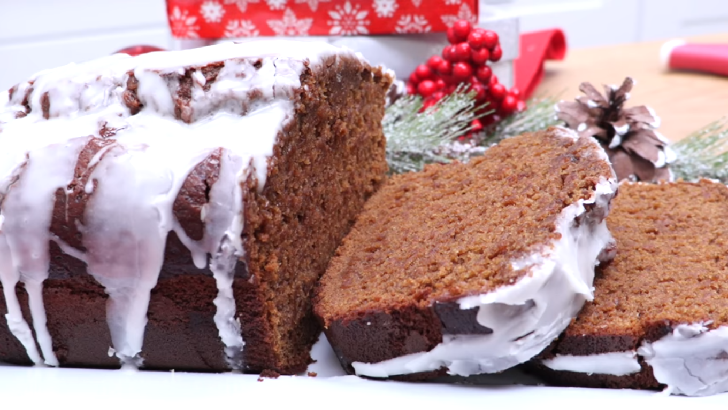 This gingerbread is lightly sweetened, tender, moist and dense! It has that classic, down-home gingerbread flavor and aroma that will have your entire home smelling all merry and Christmasy! Don’t skip the glaze!! It’s a must and makes it oh so lovely paired with the spices! Throw some vanilla bean ice cream and caramel sauce on top, and I’m a happy girl! Or a nice sprinkling of powdered sugar and a steaming mug of coffee would lift my skirt for sure! Feel free to adjust the spices to your liking. Some people like it SPICY with lots of cloves, black pepper, and ginger. I’m not one of those people. I prefer a stronger cinnamon-ginger taste, so if you’re with me, you’ll enjoy this recipe! It indeed has all of those holiday feels! ⏩Grease and flour a 9 x 5 glass loaf pan. Set aside. ⏩In a large bowl cream together brown sugar, butter, and oil. ⏩Mix in egg and vanilla extract. ⏩Mix in molasses. Set aside. ⏩In a medium bowl, whisk together flour, baking powder, baking soda, and salt, thoroughly. ⏩Whisk in cinnamon, clove, and ginger. ⏩Mix dry ingredients into the wet ingredient, alternating with the water and buttermilk. ⏩Pour into prepared loaf pan and smooth the top. 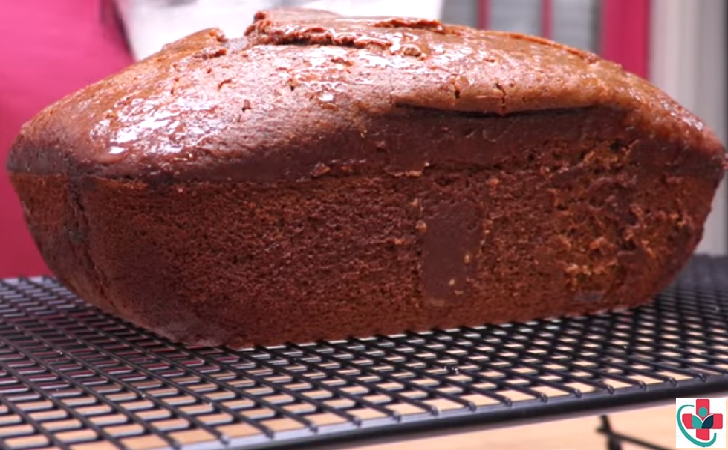 ⏩Once the pan is warm, remove bread and let cool completely on a cooling rack. ⏩To make the glaze, combine all glaze ingredients until silky. ⏩Drizzle glaze over completely cooled bread and allow to set before serving. ⏩Store in an airtight container.